Homesman (right) has edged out Tosen Basil to win the G1 Underwood Stakes at Caulfield. The Taj Mahal won his way into Caulfield Cup calculations with victory at Moonee Valley on Friday night and is set to be joined by Homesman after his win in the Underwood Stakes on Sunday. Homesman, who has 53kg in the 2400m $5 million handicap on October 20, earned a ballot exemption with the win. Giving jockey Ben Melham his 16th Group One success, Homesman, backed from $6 to $5, scored a short-head win from the Darren Weir-trained Tosen Basil ($71) whose stablemate Humidor ($7.50) was anotehr half-length third. Nick Williams described former Irish horse Homesman as a tough animal, genuine and honest. “Ben gave him a great ride and I think 1800 metres is a bit short of his optimum trip,” Williams said. “‘It’s great to get the Group One up for him and that gives him a ballot-free exemption into the Caulfield Cup and I’d imagine all things being equal, that’s where we’ll head. Melham says he is thankful for the support he has been getting from Lloyd and Nick Williams. He partnered The Taj Mahal on Friday night and described Homesman as a beautiful animal. 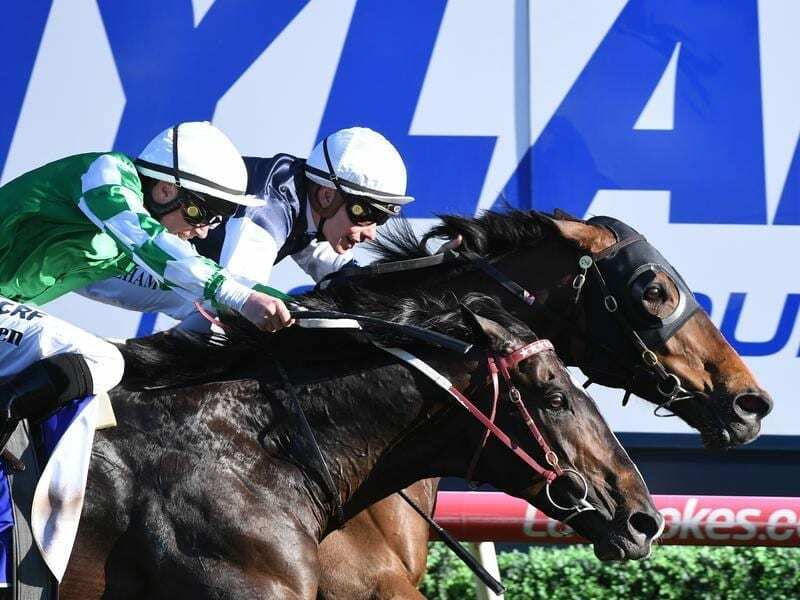 Homesman resumed with a second placing to Magic Consol in the Dato Tan Chin Nam Stakes at Moonee Valley on September 8 and Melham said the extra ground on Sunday was ideal. “Riding nice horses and having good support from stables like this makes life easier,” Melham said. “He ran really well in the Dato and up to a more suitable trip, blinkers back on, he’s just a real tradesman. Chris Connet, representing English Godolphin trainer Charlie Appleby, was happy with the fourth-placed finish of Blair House ($5). “He went as well as we hoped. It was what we wanted to see,” Connet said. Homesman’s win denied Weir a six-win haul on Sunday’s card. Weir won with Cliff’s Edge, Bondeiger, Grey Shadow, Native Soldier and Furrion.